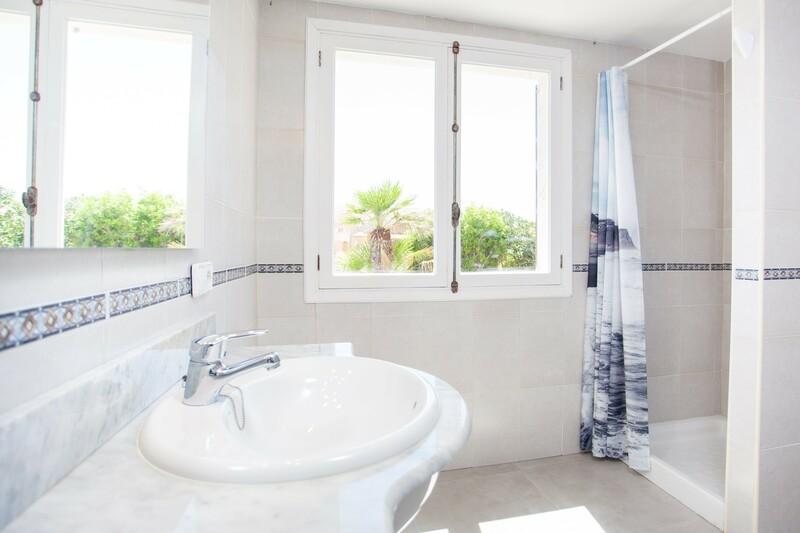 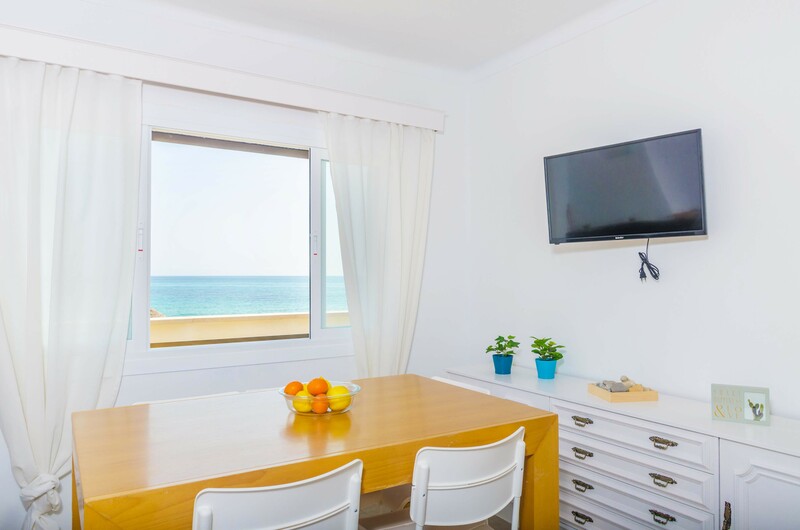 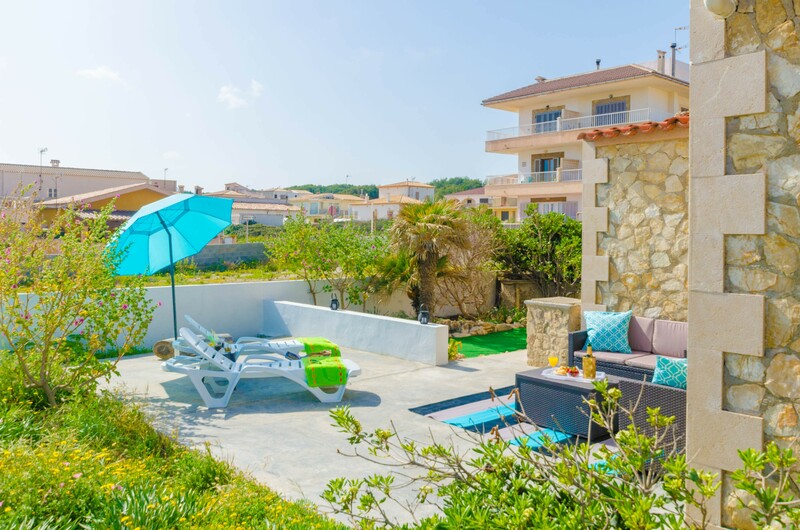 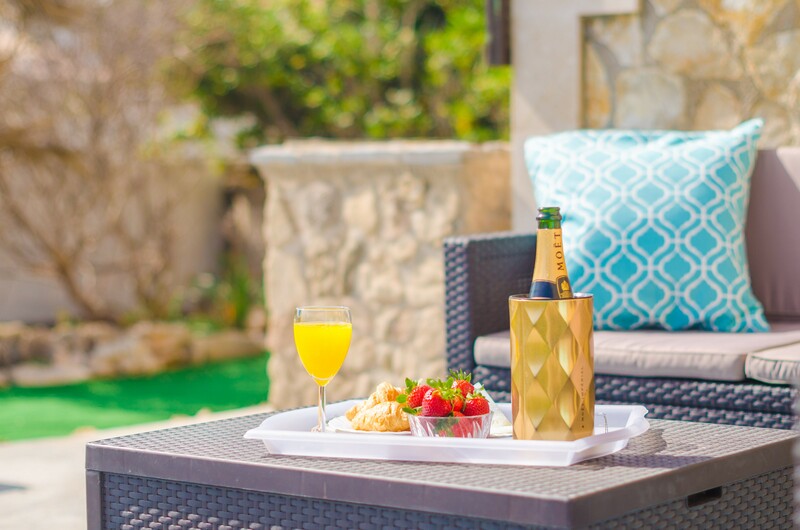 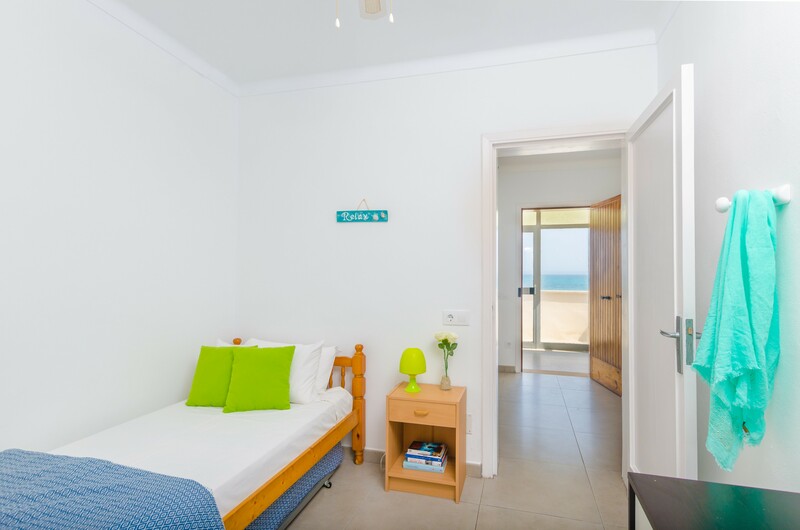 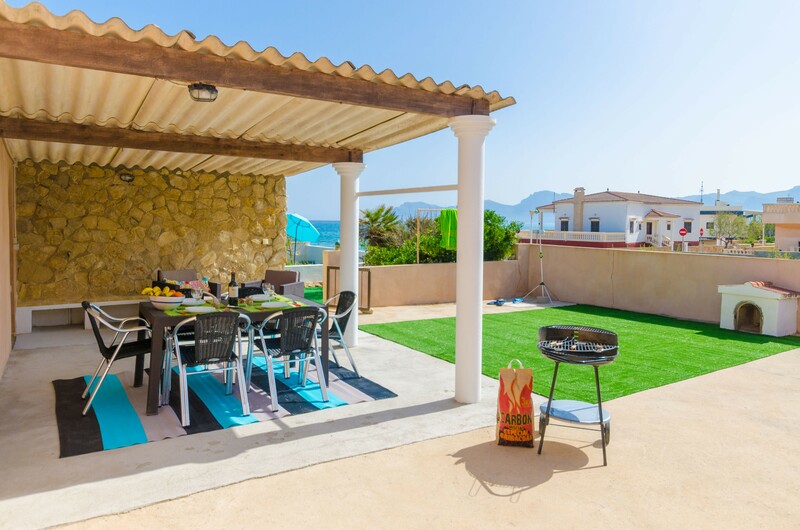 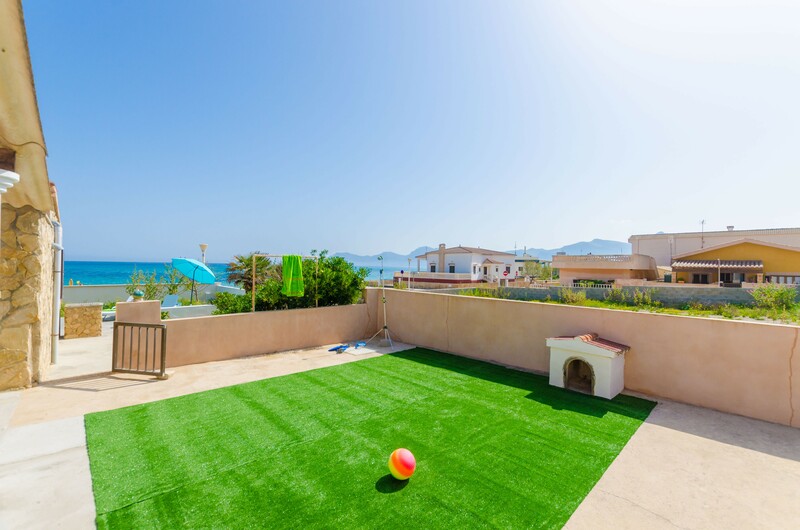 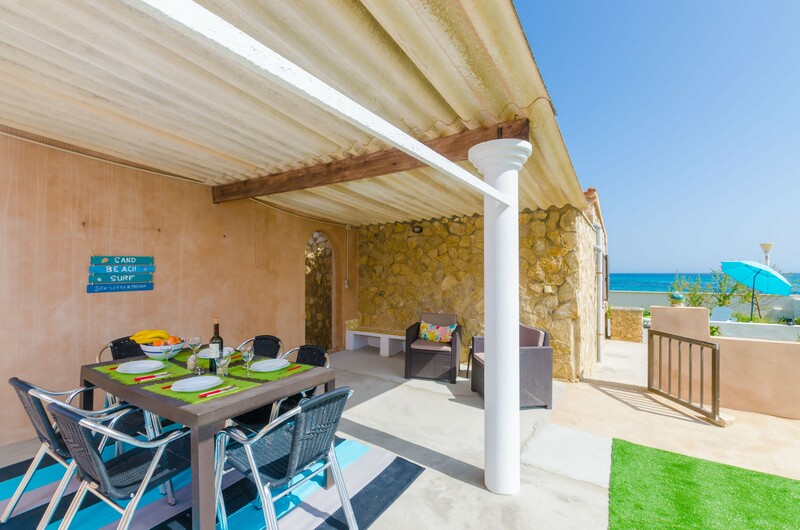 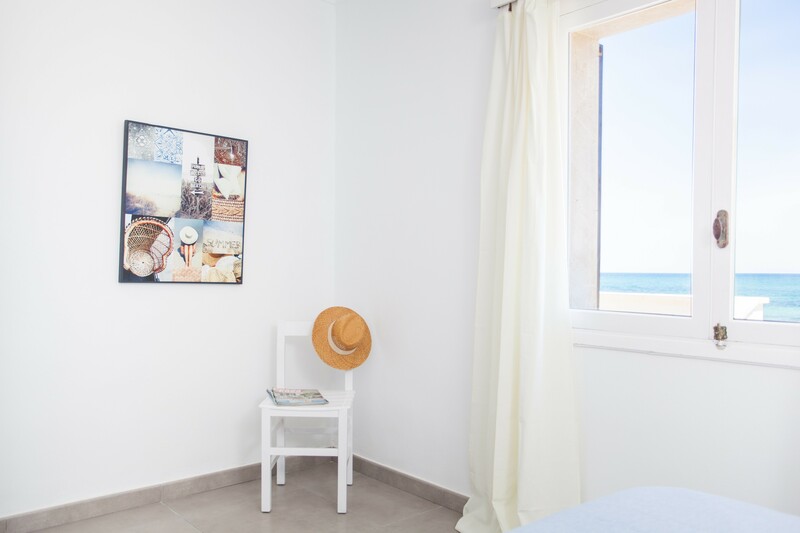 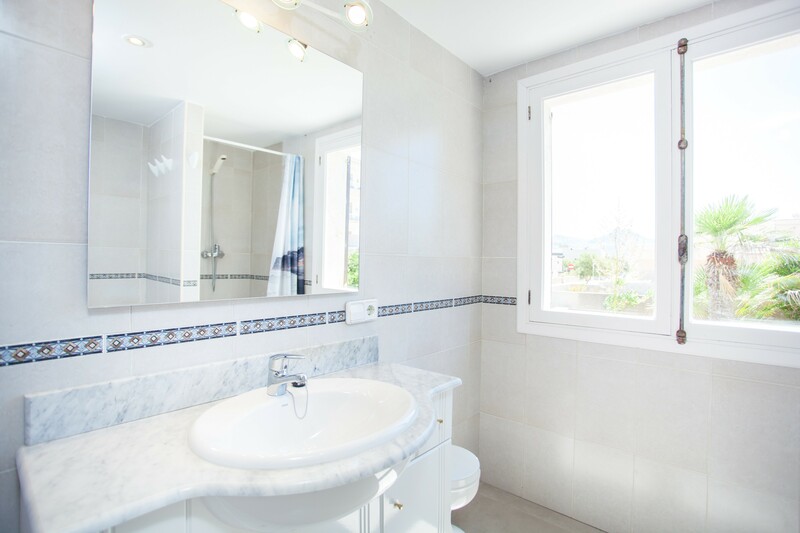 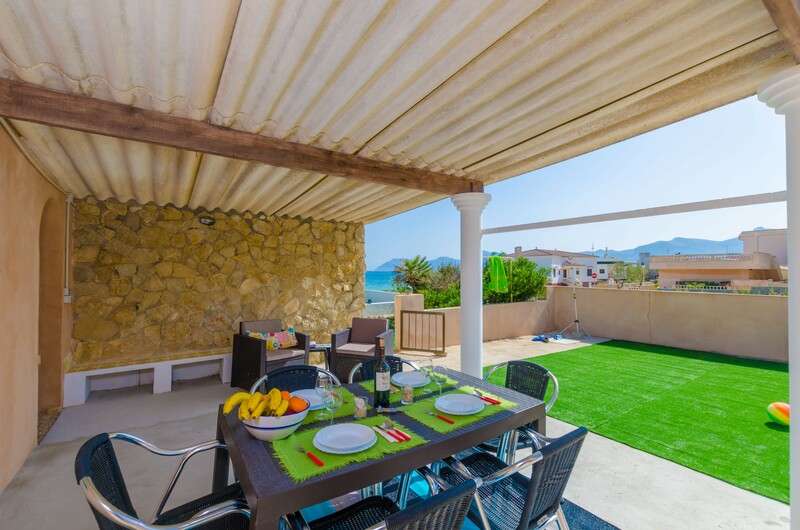 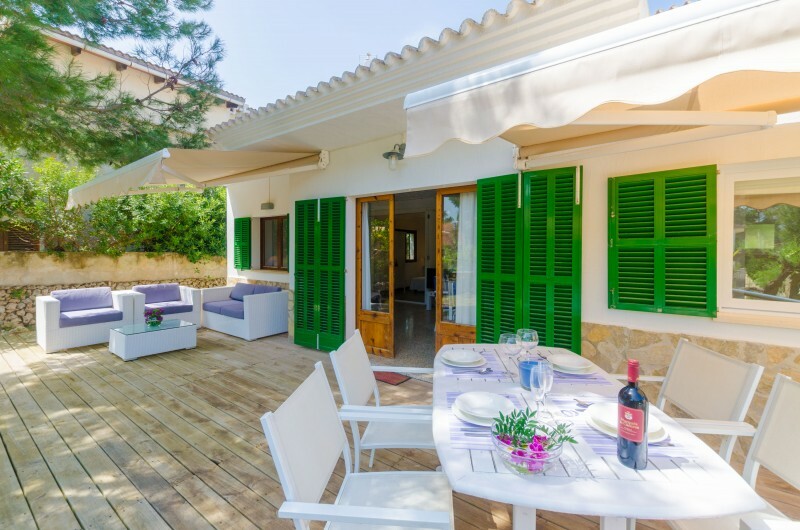 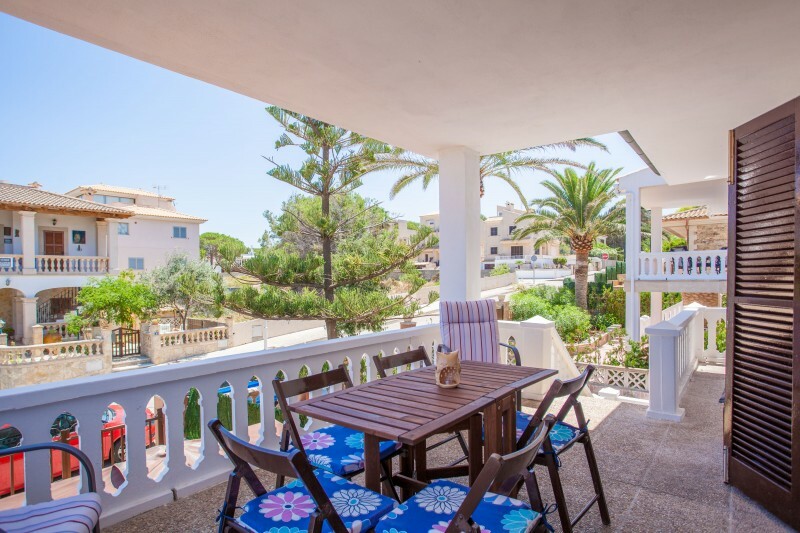 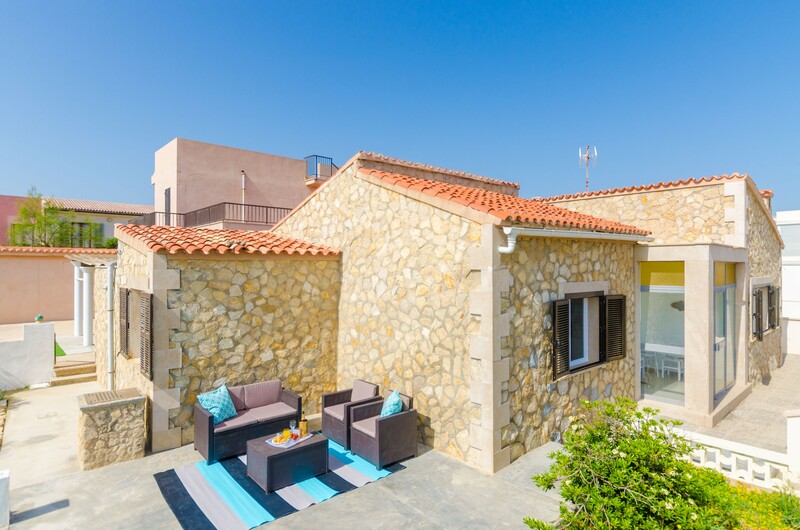 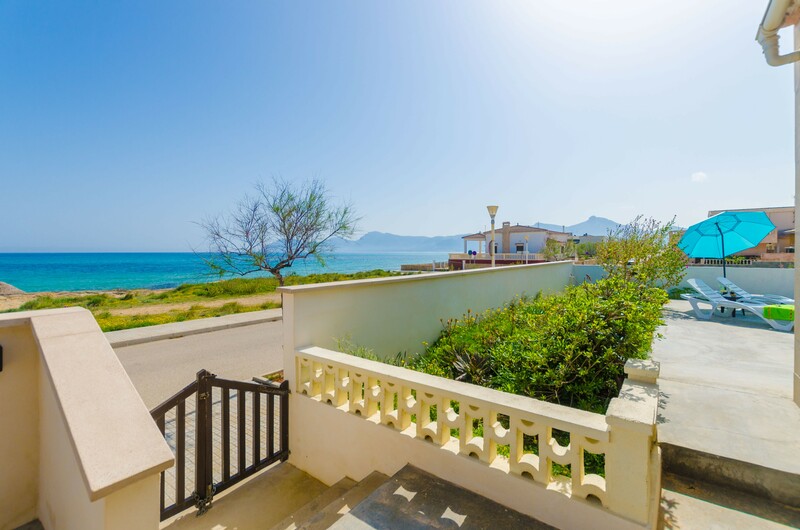 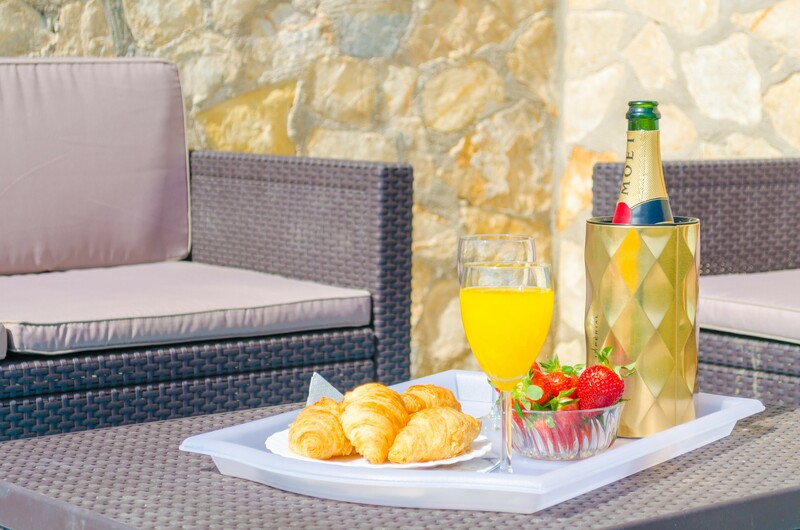 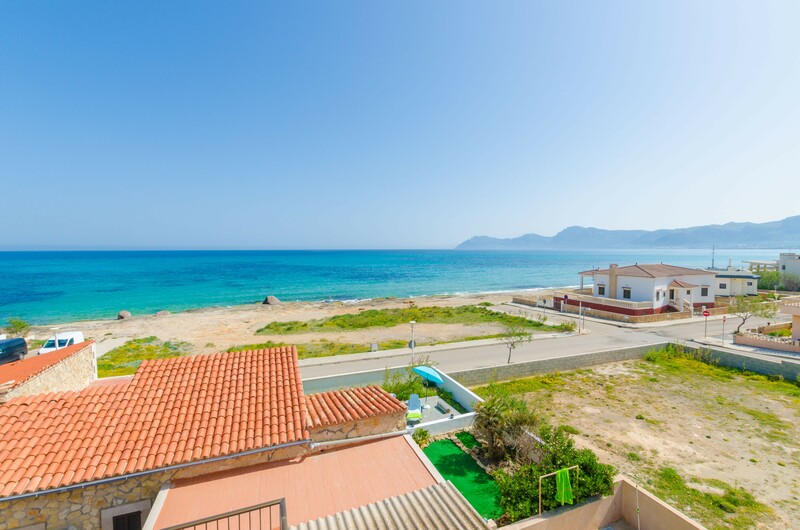 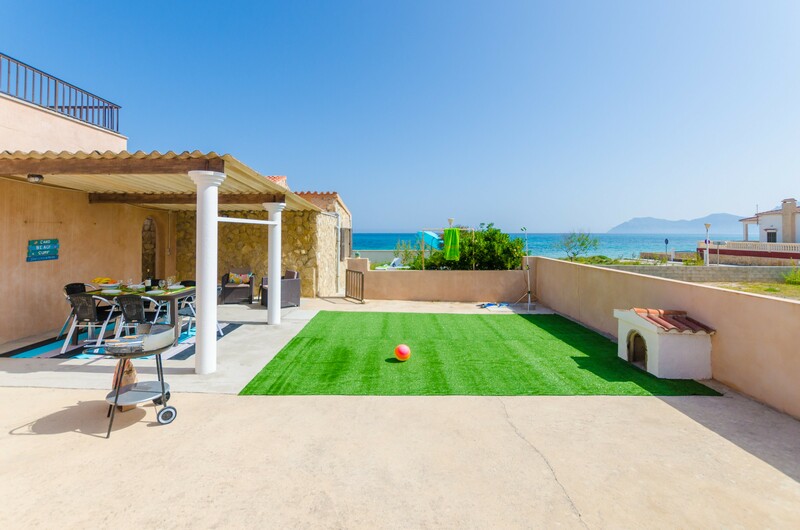 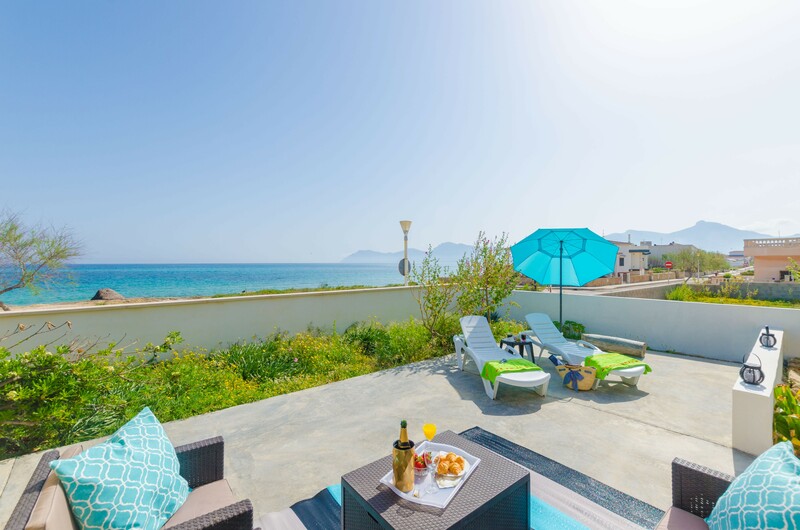 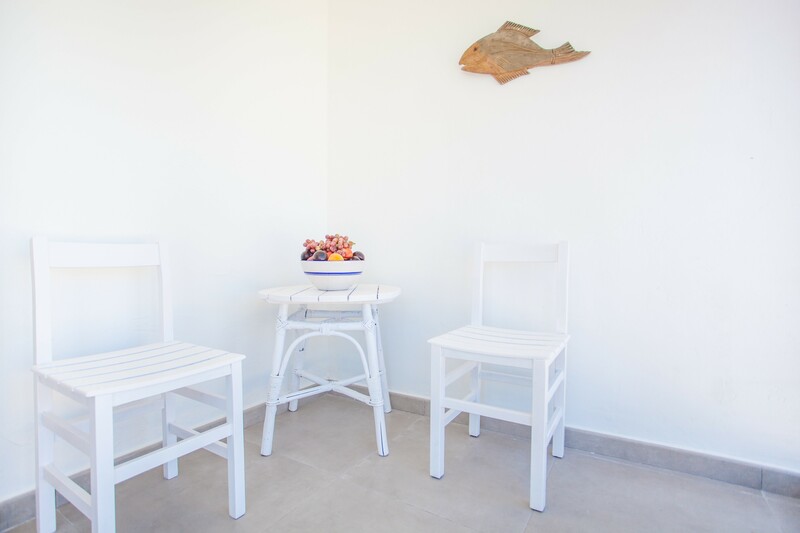 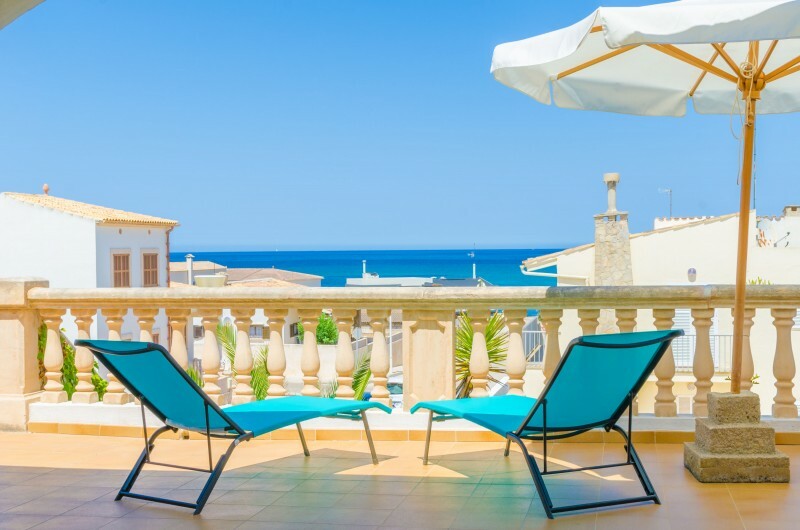 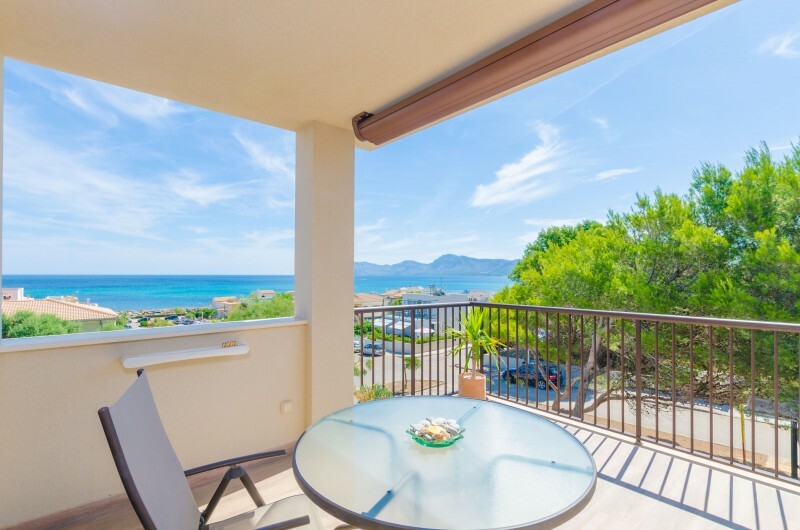 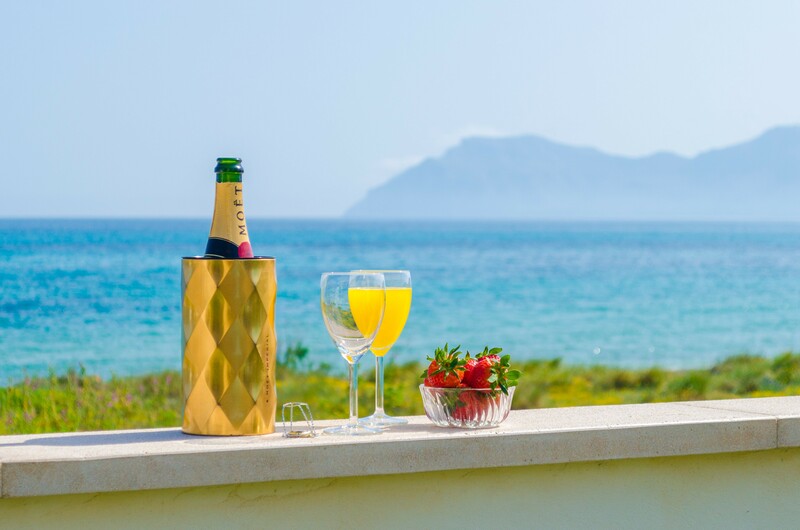 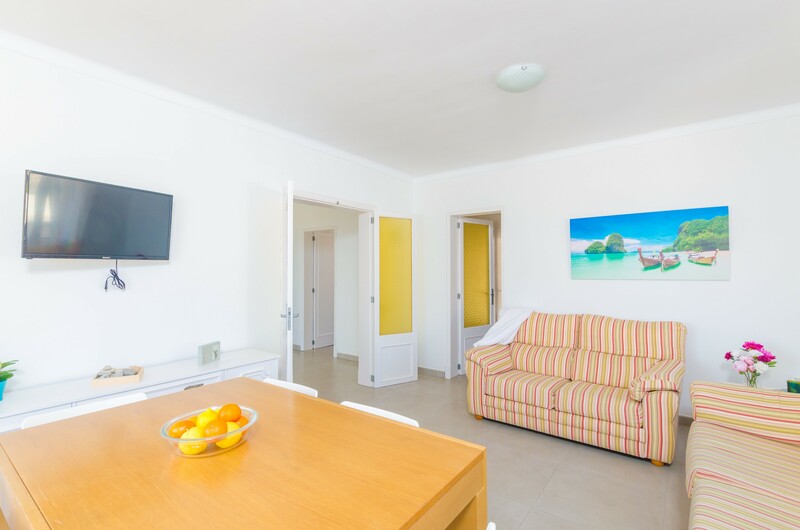 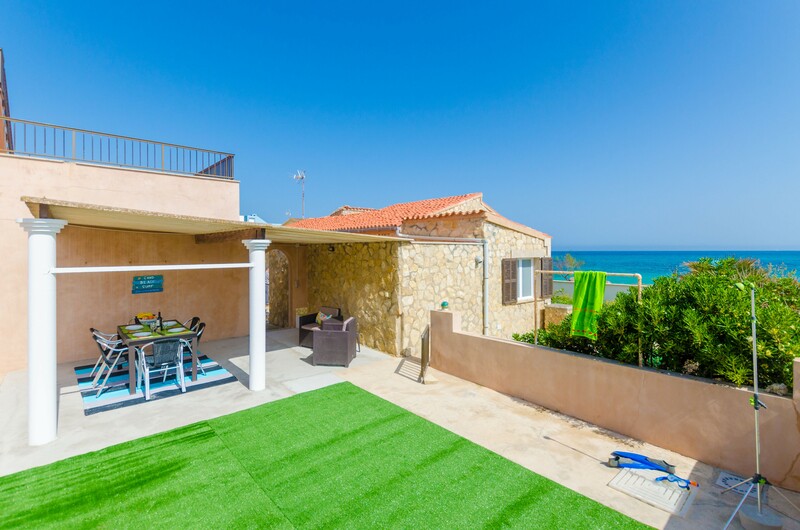 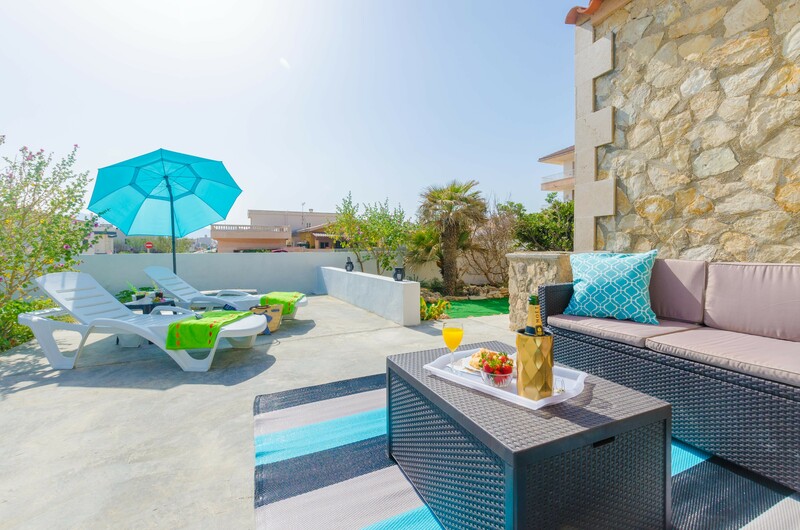 Renovated in 2017, this beautiful chalet by the sea welcomes 5-6 people in Son Serra de Marina, in the north of Majorca. 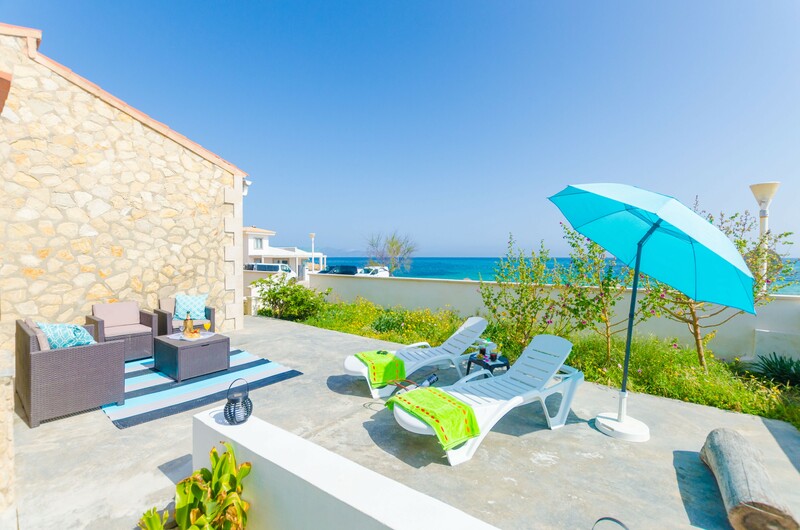 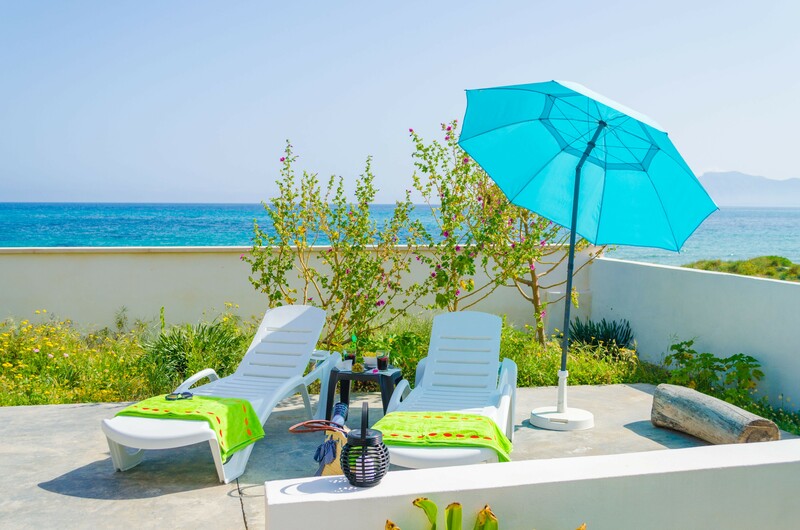 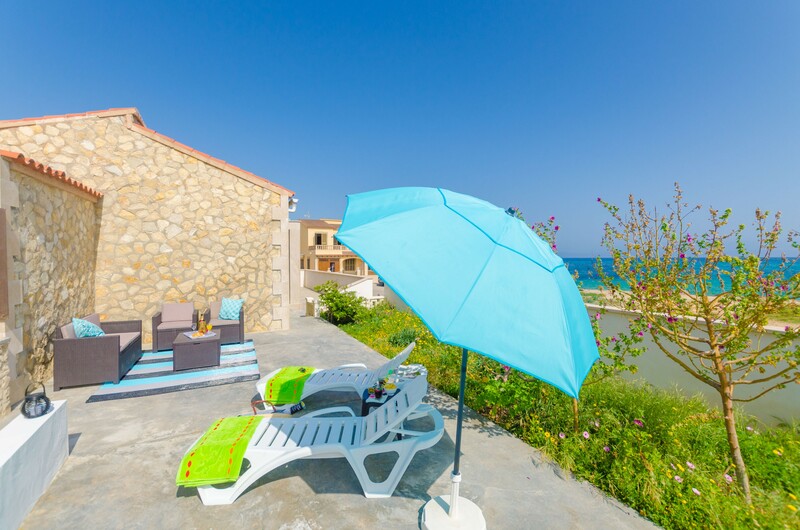 Spend an unforgettable beach vacation in this beautiful house located in an amazing environment. 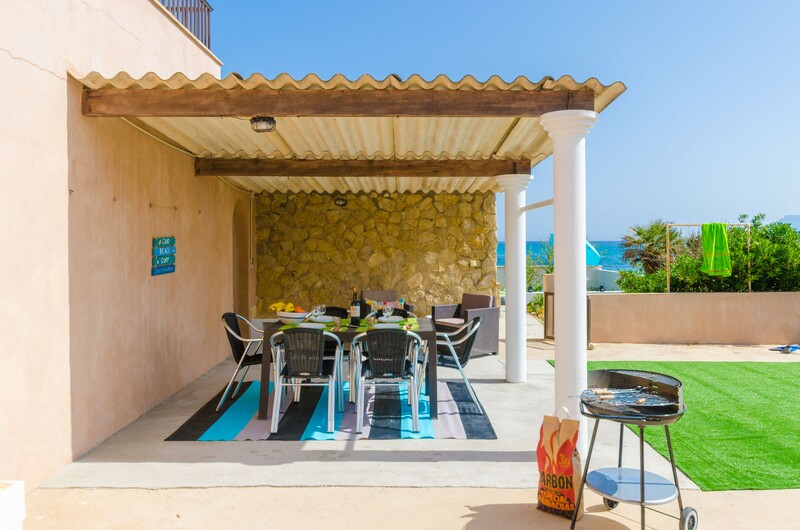 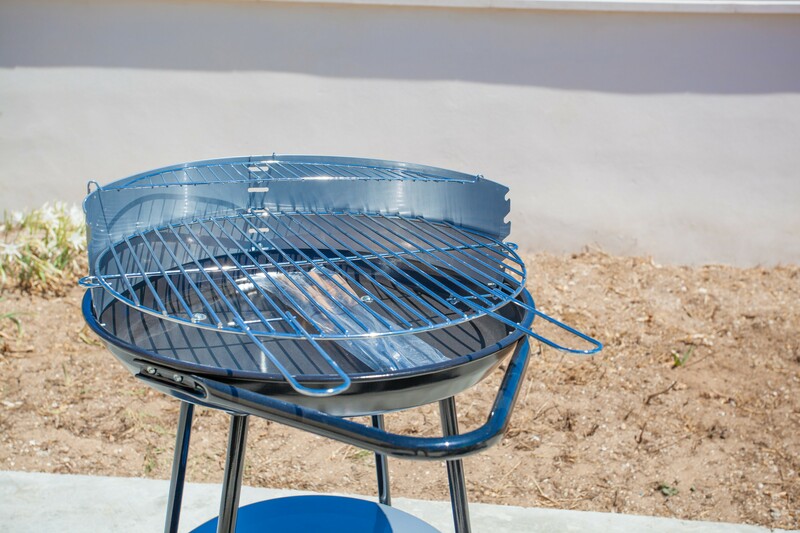 Outside you will enjoy the sea breeze in the great terrace seating area, taking a cocktail at sunset- The outside dining table will allow you to enjoy the views while having lunch or dinner, or preparing a fantastic barbecue with your loved ones. 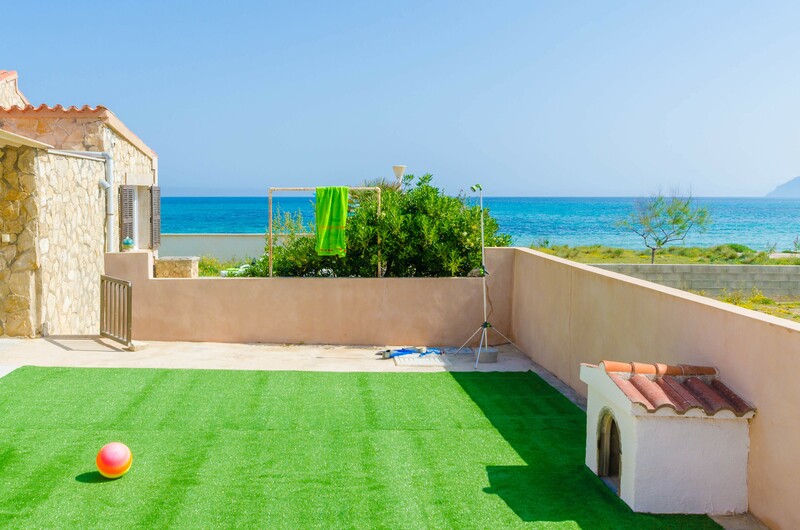 You can also enjoy the Mediterranean weather at the gardened area where the little ones can play outdoors. 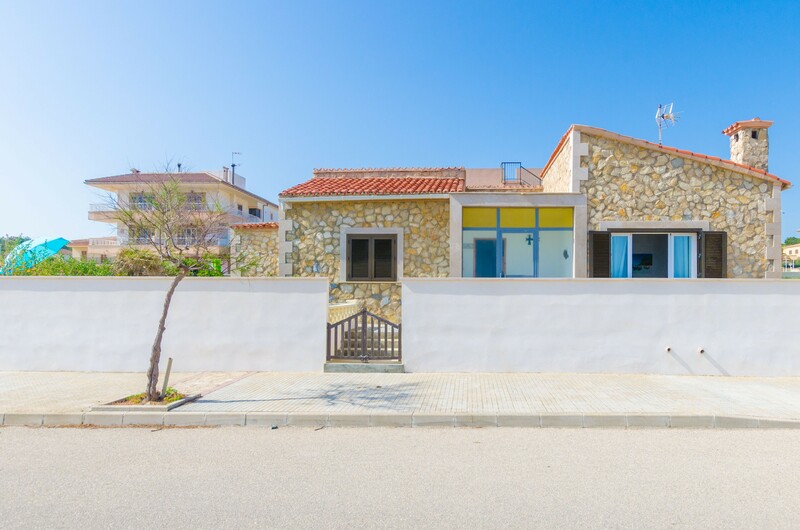 The house is located in a quiet residential area with neighbours around. 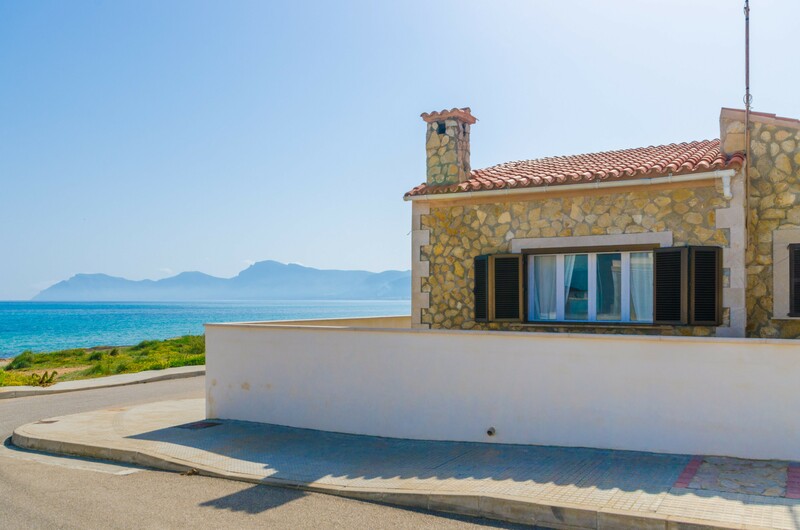 The 90 m2 house has just one floor and a Mediterranean, luminous and refreshing style, ideal to disconnect for some days. 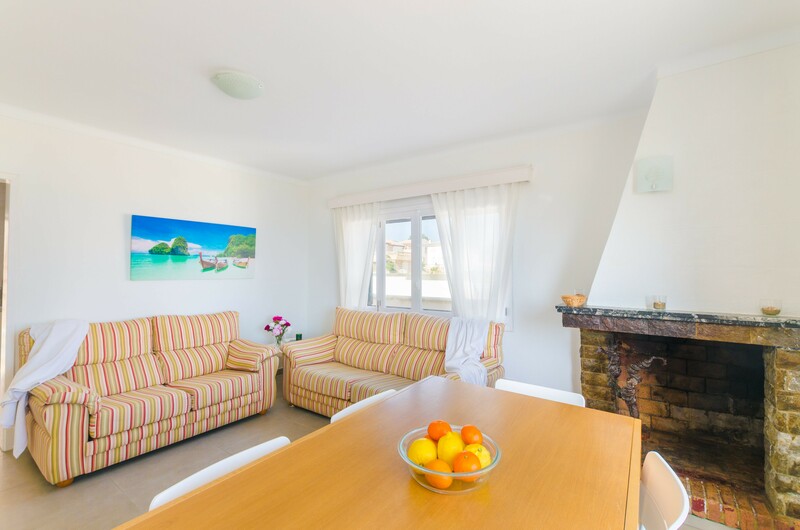 The living-dining room counts with two comfortable sofas where you can watch the television (only local channels). 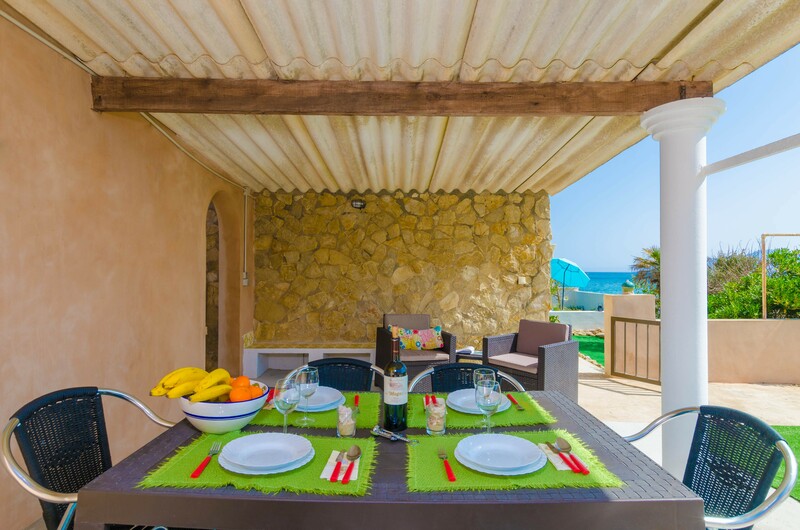 The dining area has capacity for 6 people who will go on revelling in the sea views. 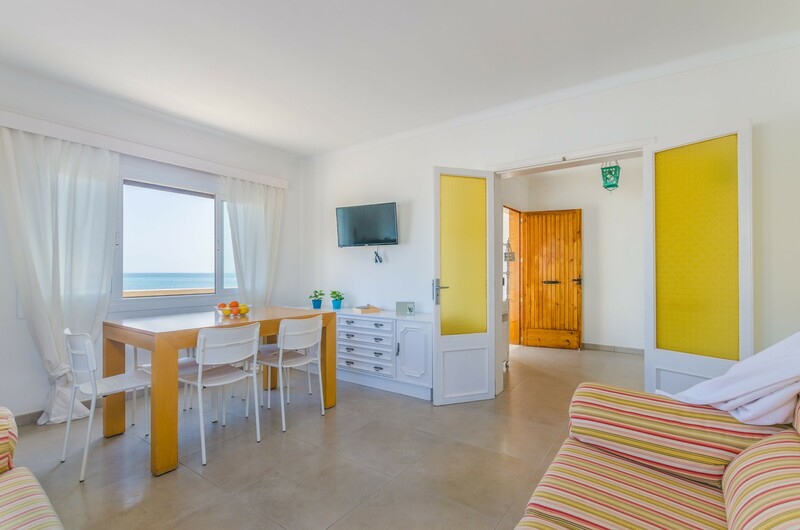 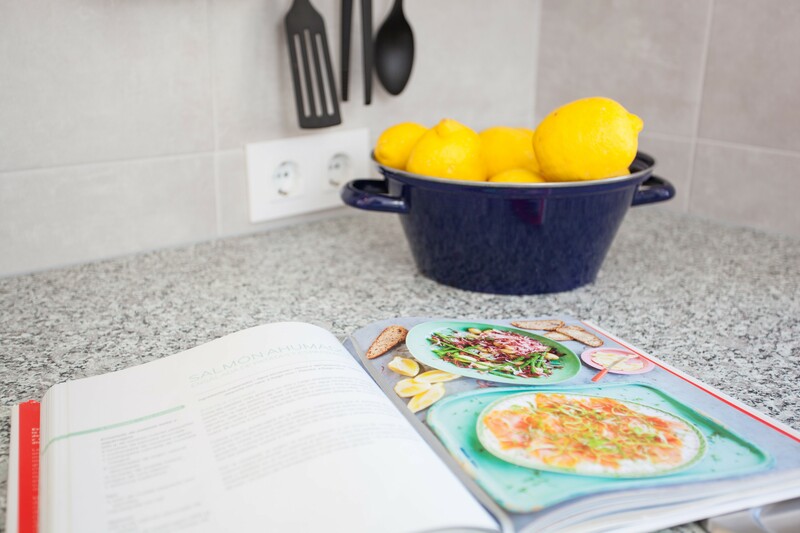 The kitchen is independent and it features a ceramic hob, an oven and the basic equipment to cook during your holidays. 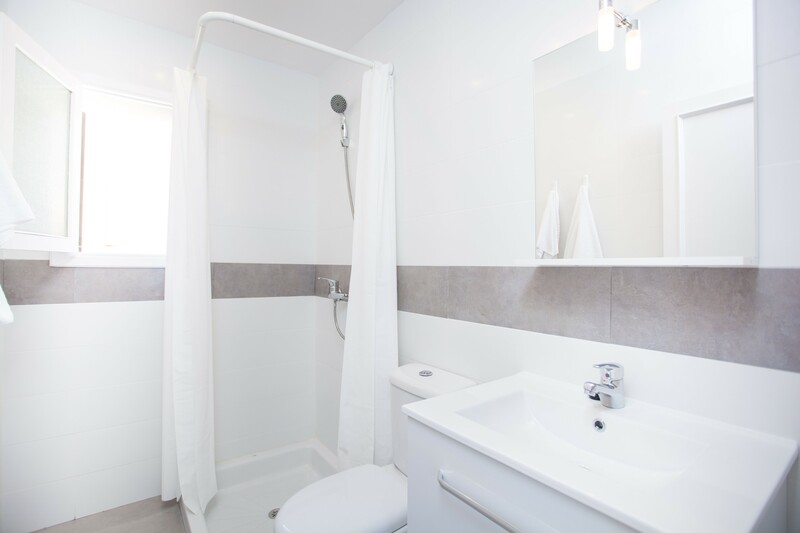 There is shower bathroom for the house. 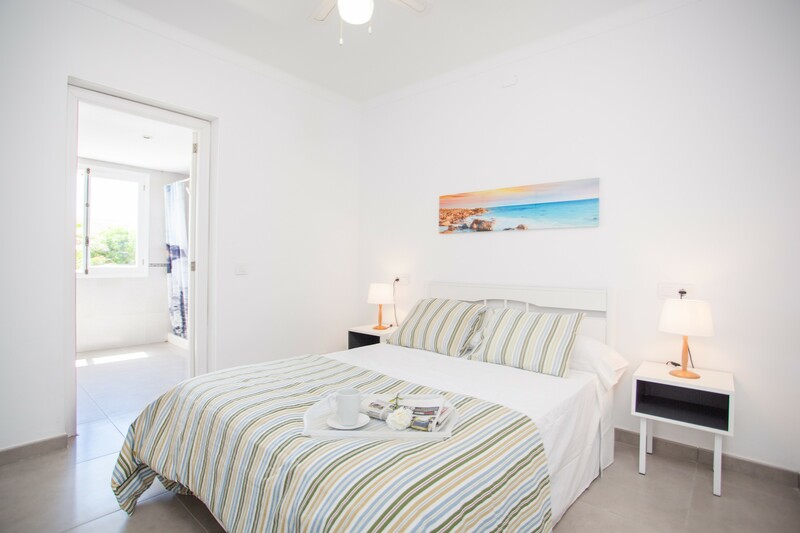 Then the three bedrooms. 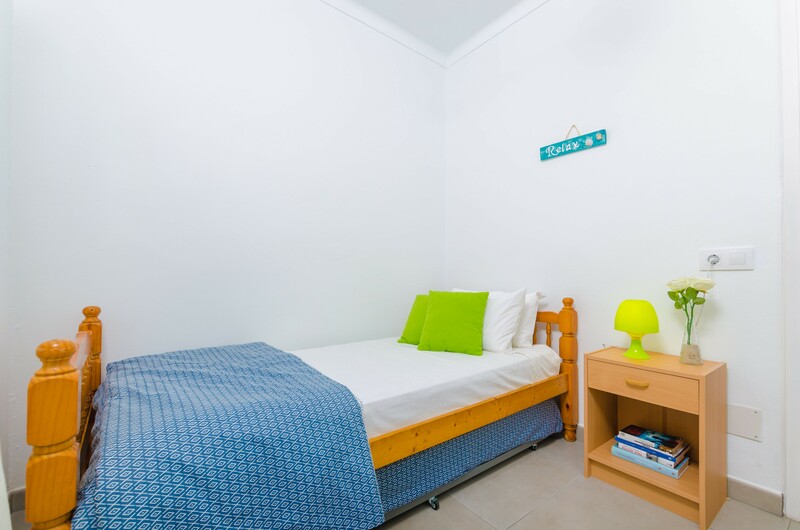 The first one counts with a double bed, closet and an en-suite shower bathroom. 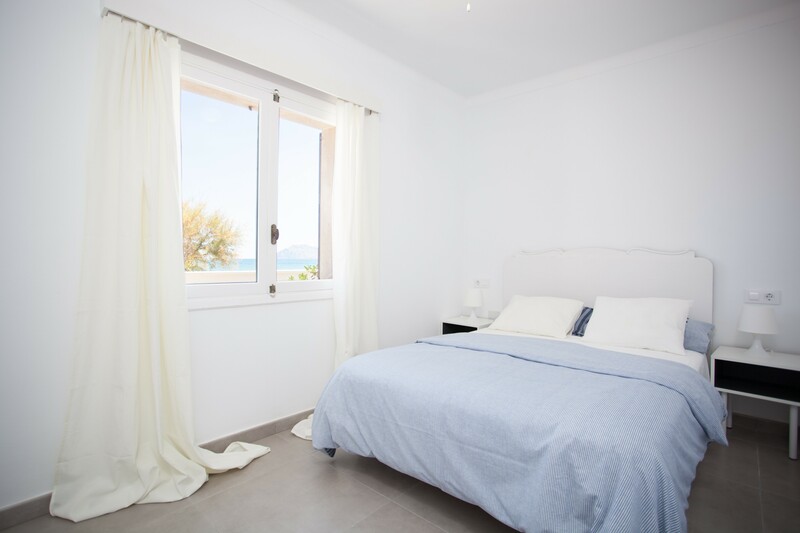 Please note this bedroom has not any window, although there's an en-suite bathroom with a window overlooking the sea and the garden. 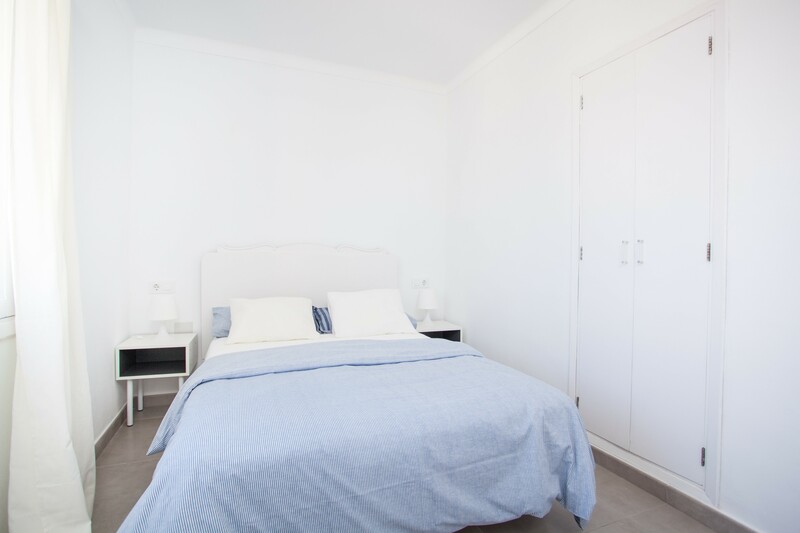 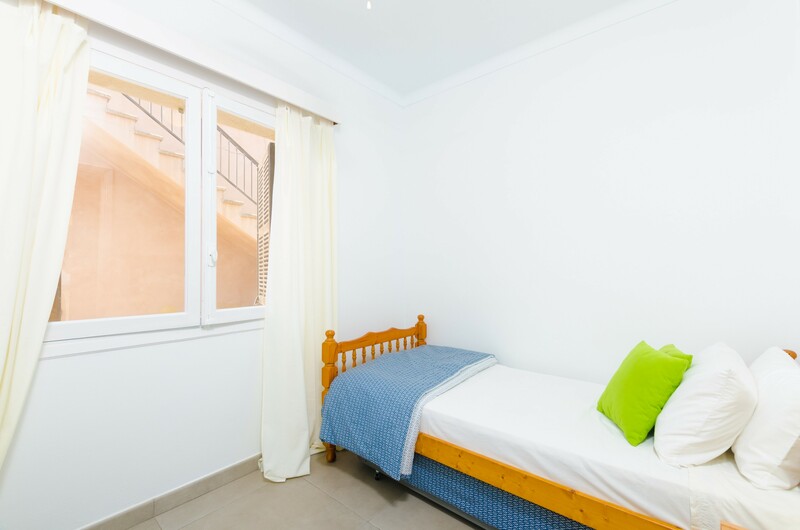 The second bedroom features a double bed as well as a closet; and the last one has a trundle bed, no wardrobe and the window overlooks a lateral wall of the plot. 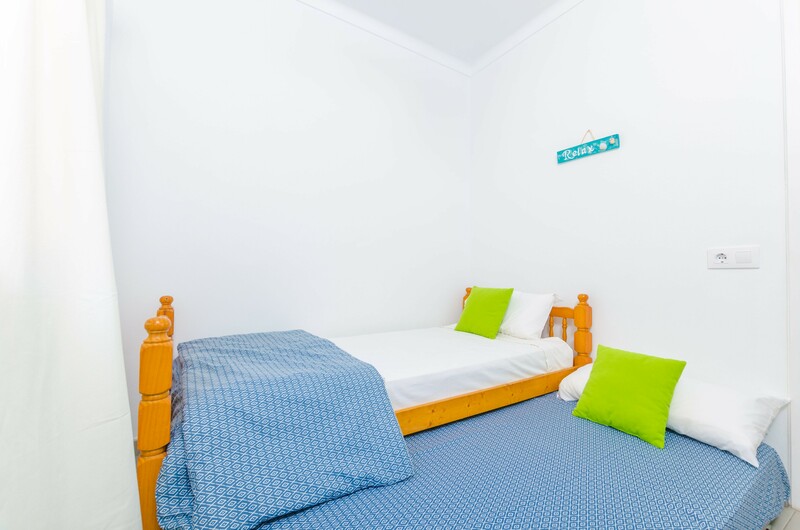 All bedrooms count with a fan. 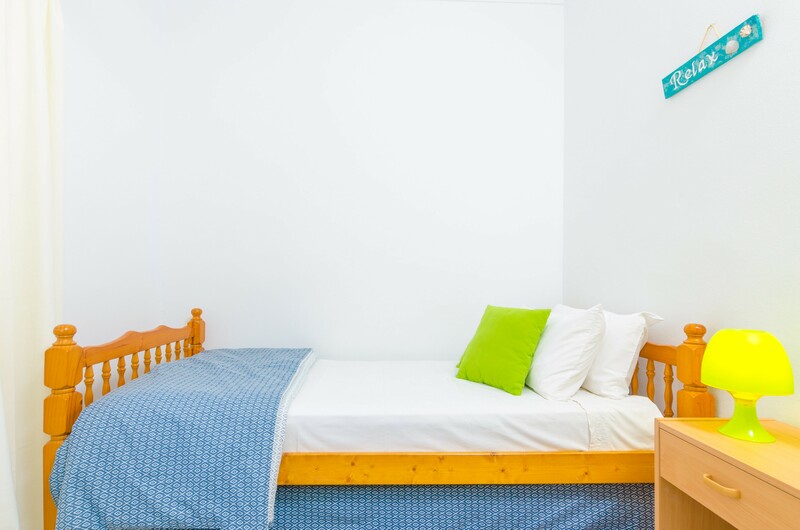 If you are travelling with a baby, a cot and a high chair are also available.Finally, the house counts with a washing machine, an iron and an ironing board. 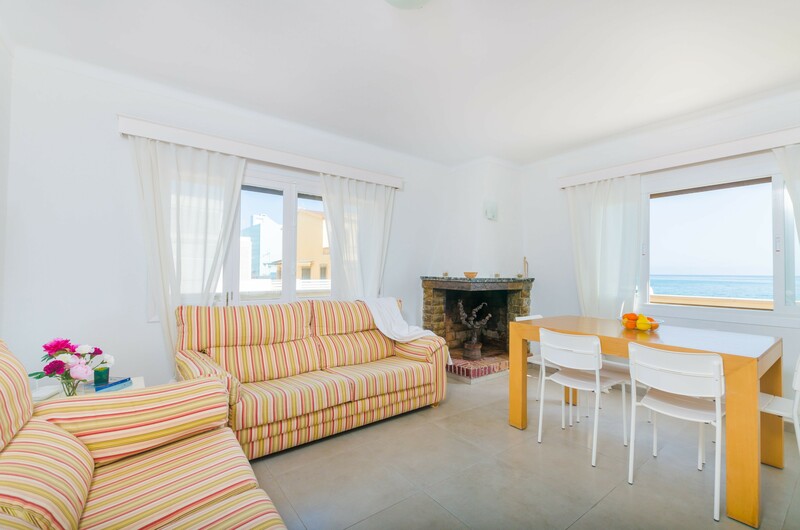 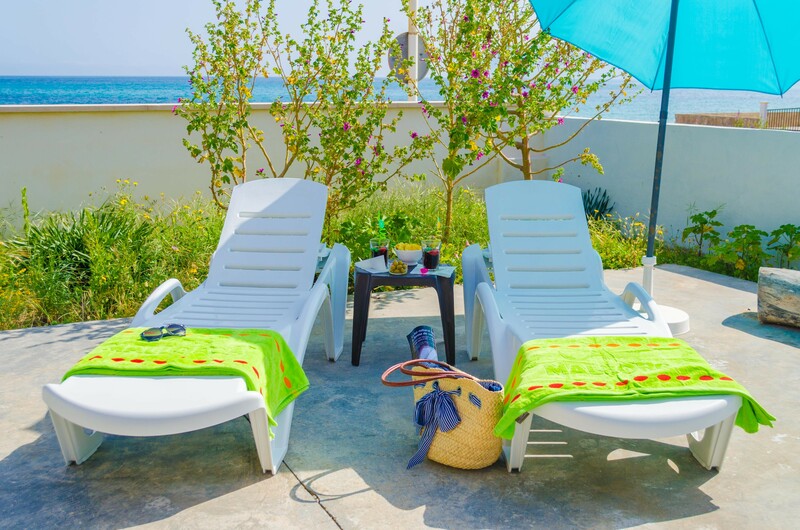 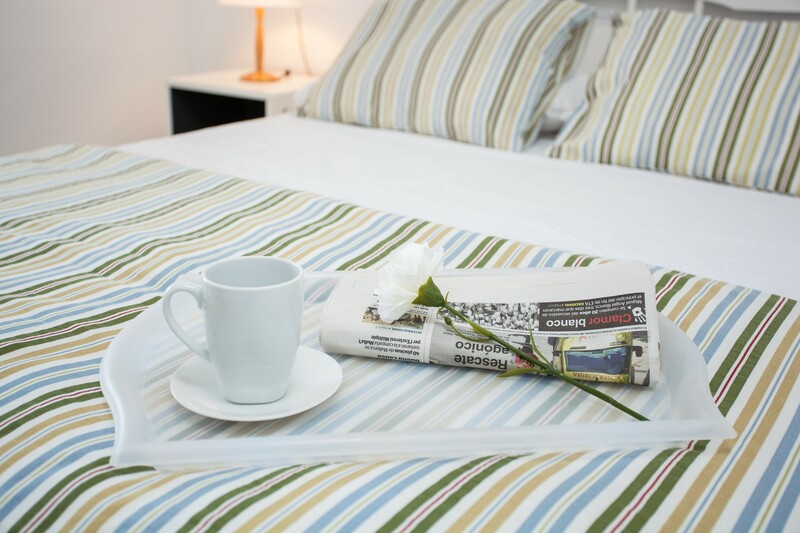 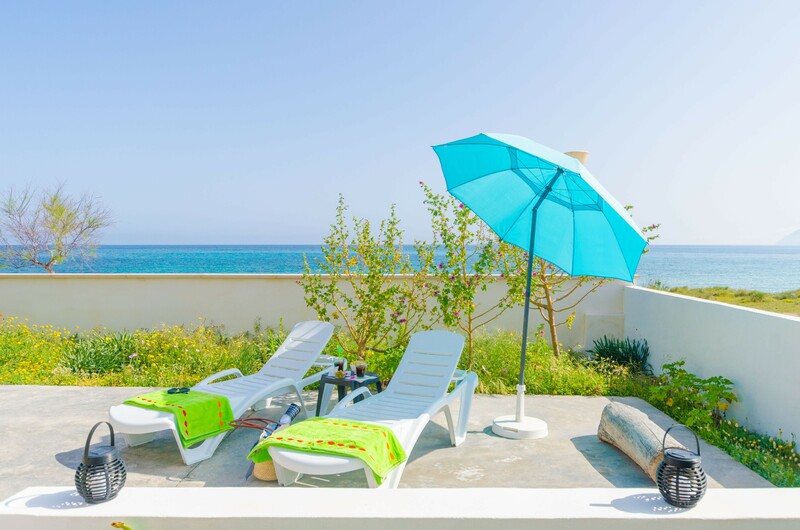 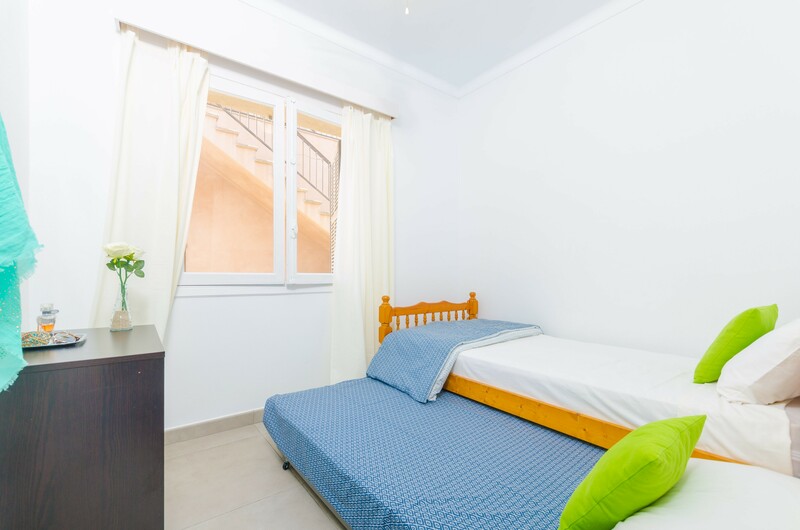 The house is located in Son Serra de Marina, a beautiful and quiet village with the basic services, ideal for family holidays. 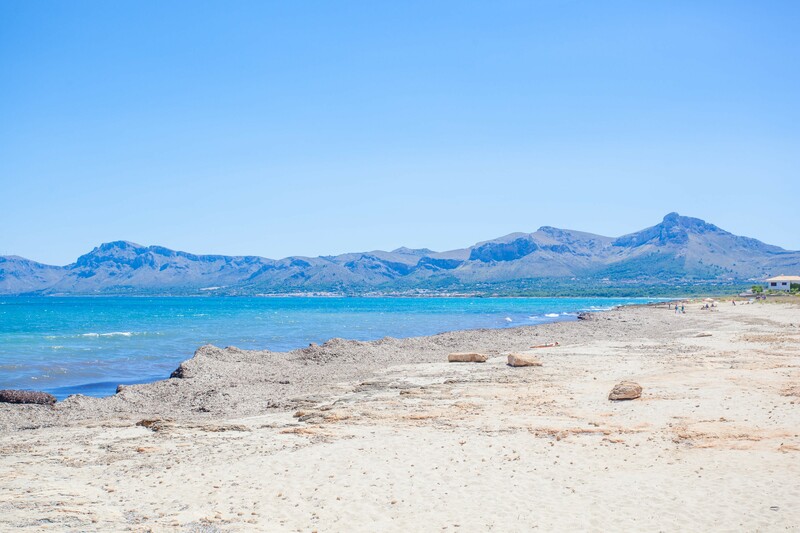 The beach is a sandy, rocky and shallow beach which is mainly visited by locals and tourists. 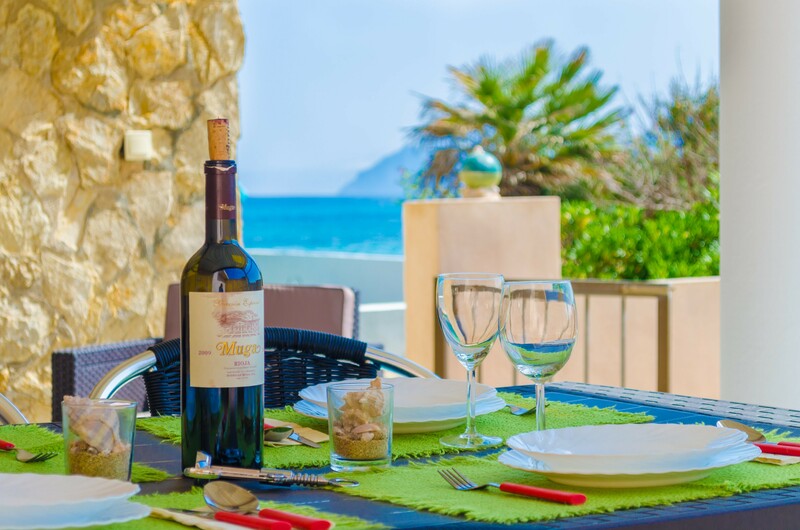 You can visit Can Picafort where you will find a great leisure offer, shops, supermarkets and restaurants. 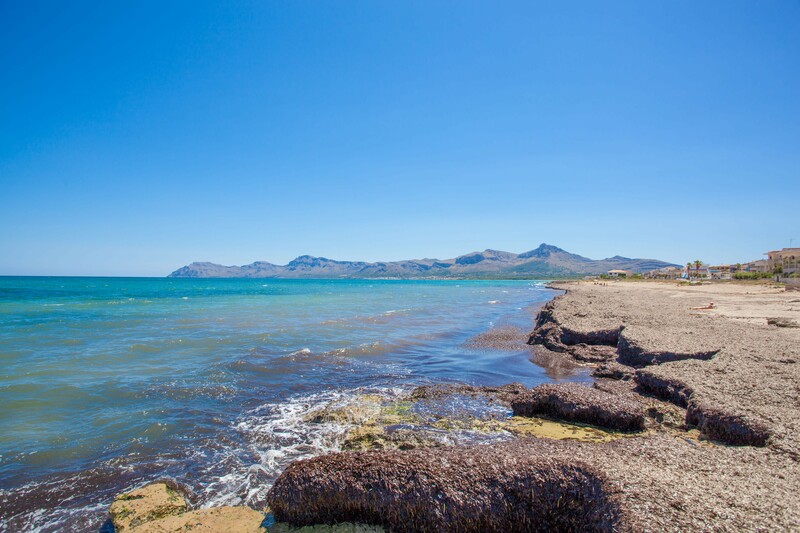 A little far away you will find Alcudia and its wall and fantastic caves like Mal pas or Alcanada. 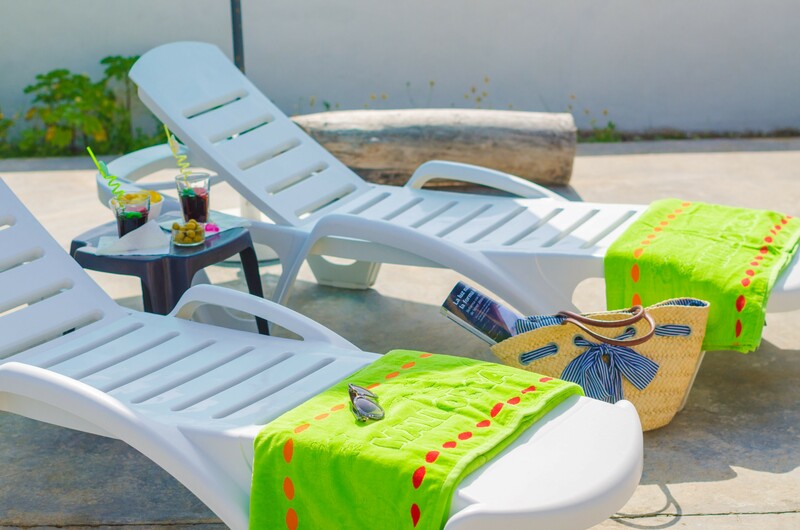 You can't use the upper terraces.